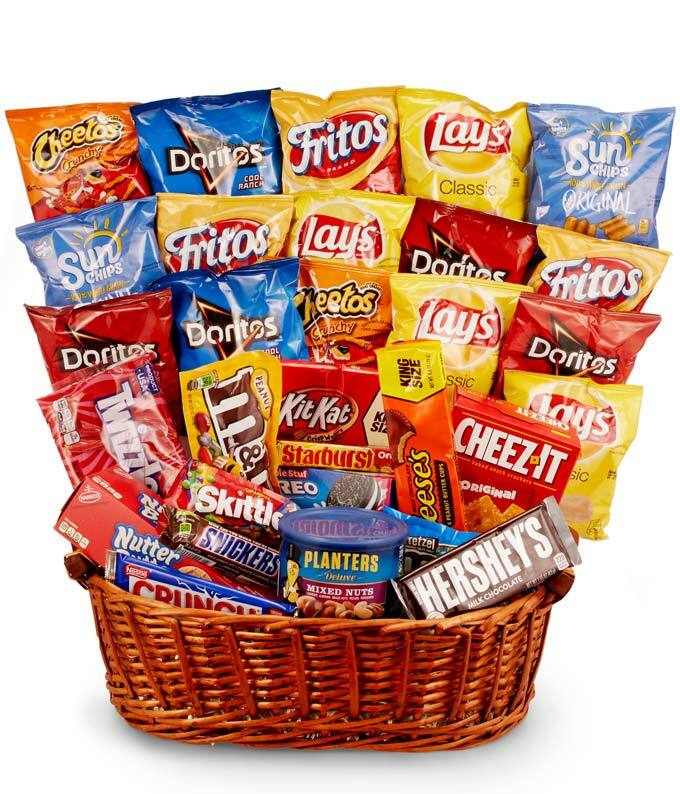 Wow a special someone by sending them the Chips, Candy & More Gift Basket! This gift basket is perfect for snack lovers who love sweet treats and savory snacks! It makes a unique birthday, congratulations, and thinking of you gift that's perfect for all ages. Please note that contents of the gift basket may vary depending on local florist's availability. Please note: contents may vary.